My car has gone 245 000 km with regular DSG oil changes and the previous owner has changed the DV and PCV parts so no worries there, however I don't think the cam follower has ever been changed. The local VW specialist here in Finland did not know anything about it, however an independent specialist told me I shouldn't change it, but instead I should have the cam chain and tensioner checked if I understood correctly. Considering the mileage, should I have the cam follower changed and the cam chain and tensioner checked? 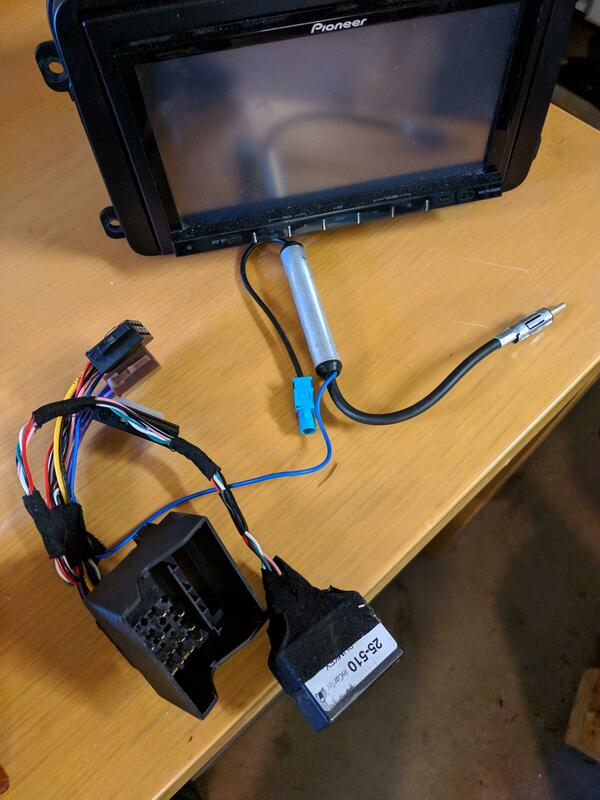 My second question is about changing the RCD300 radio in my car to an aftermarket Pioneer head unit, I am not sure if I need updated CANBUS adapter to make sure I have no battery drain from the new radio. 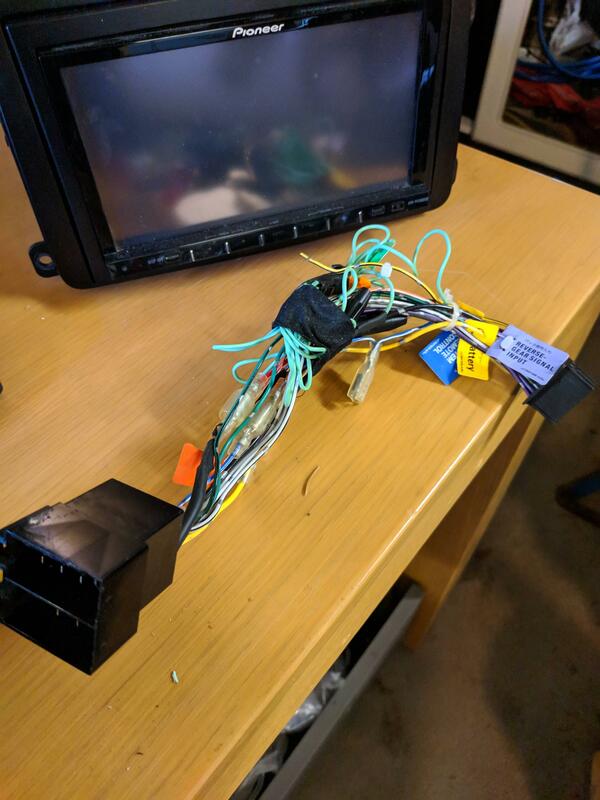 This is the head unit in question (https://www.pioneerelectronics.com/PUSA/Car/DVD+Receivers/AVH-P4100DVD) and below are the pictures of the wires I received with it, and the obligatory pictures of the new car! I can answer/advise your first question.. and that's.. DO change the cam follower!! especially if its never been changed! once removed, you'll need to Inspect the tip of the Fuel pump too i'd be very surprised if you even have a cam follower left! if its worn right through, the HPFP will be damaged too! 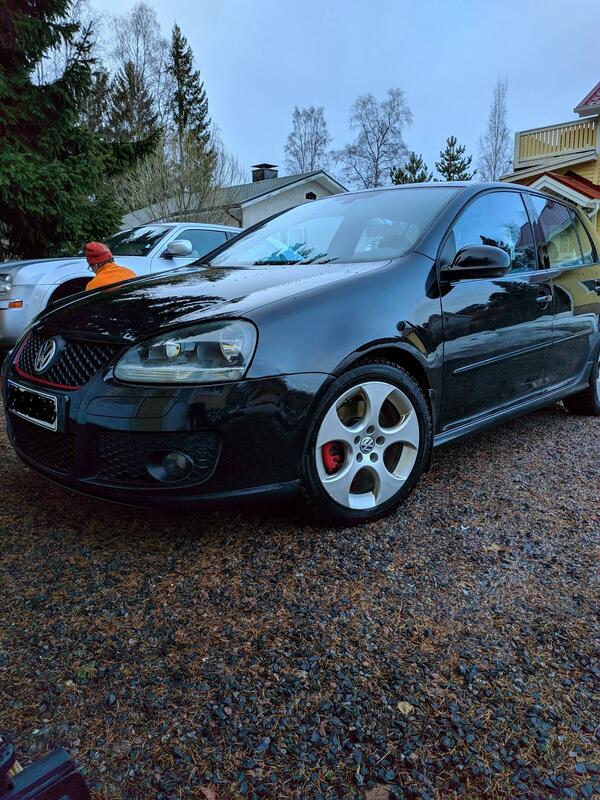 The earlier GTI's with the AXX engine (which I'm guessing is what you have) the cams and follower are prone to being beaten up, so do check this asap. if the follower has worn through and damaged the fuel pump tip too, chances are your inlet camshaft could be buggered too! If the cam chain and tensioner has never been changed then this is also something you NEED to do ASAP! 1st step is to inspect cam follower, then HPFP tip then inlet cam lobe! if all is fine.. then move to step 2 which will be replacing the cam chain and tensioner + the cam follower while you're there (or specialist whoever does the job). I wouldn't chance anything like that mate. get it done and save catastrophic failure later on. Little worrying that your local "VW specialist" has never heard of the cam follower etc. apologies I cant help with the Radio. 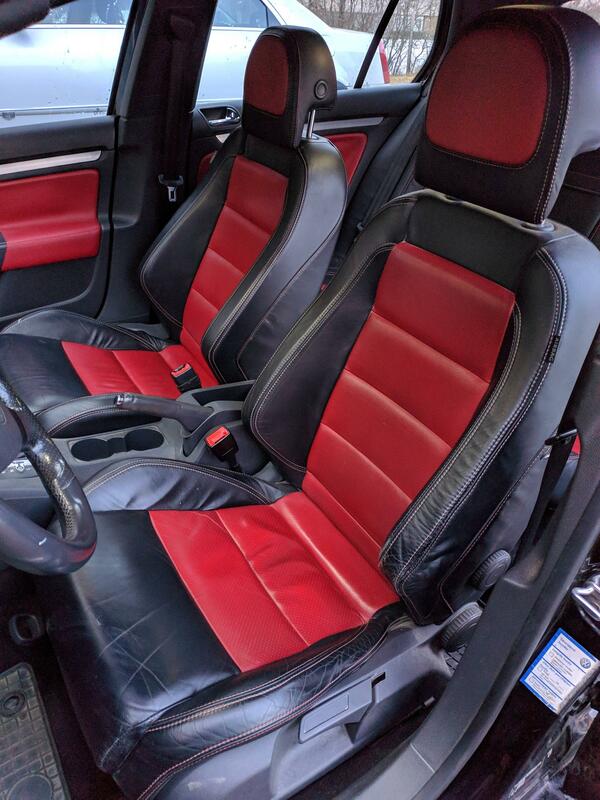 Has that interior been retrimmed or is it some kind of Euro option? Thank you @muff1991 and @Chesto18 for your answers, I have now booked an appointment to change the cam follower next week at a local independent specialist. 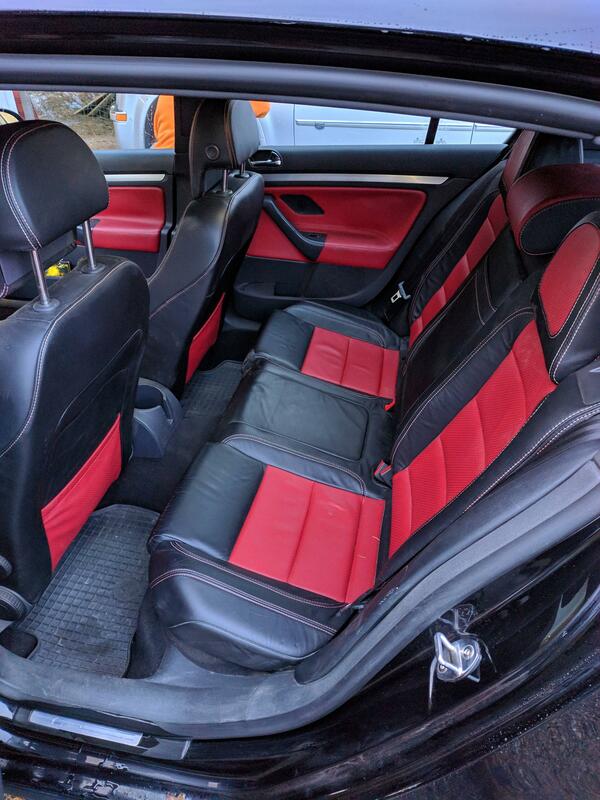 Regarding the leather trim, the previous owner insisted it came like that from the factory but I think it has been retrimmed at some point, doesn't really matter because it looks bloody great! I have succesfully changed my RCD300 to the Pioneer unit and it made a really big difference in sound quality. However I have discovered a new problem, my -05 Golf GTI mk5 has started making a tapping like sound that is coming from behind the glove compartment, I think it is a relay making that noise as I tried to turn the passenger airbag off and the airbag relay I believe started making a different but identical sounding noise which is how I think it is a relay of some sort. It is not the air recirculation flap motor as I can hear it closing and opening the flap properly, does anyone know what relays if any are there behind the glove box? I am taking the car wednesday to a mechanic to have the cam follower changed and I'm thinking of asking them to scan for any possible error codes that could explain the noise. I have attached a video of the sound so please turn up your volume to hear the noise properly. that sure does sound like a relay to me.. you might need to get in their and find it. try a scan though.. as it might pick it up. Cheers @muff1991, I may take apart the glove compartment if the noise gets on my nerves too much, I had the mechanic scan the car for any error codes but nothing relevant came up. 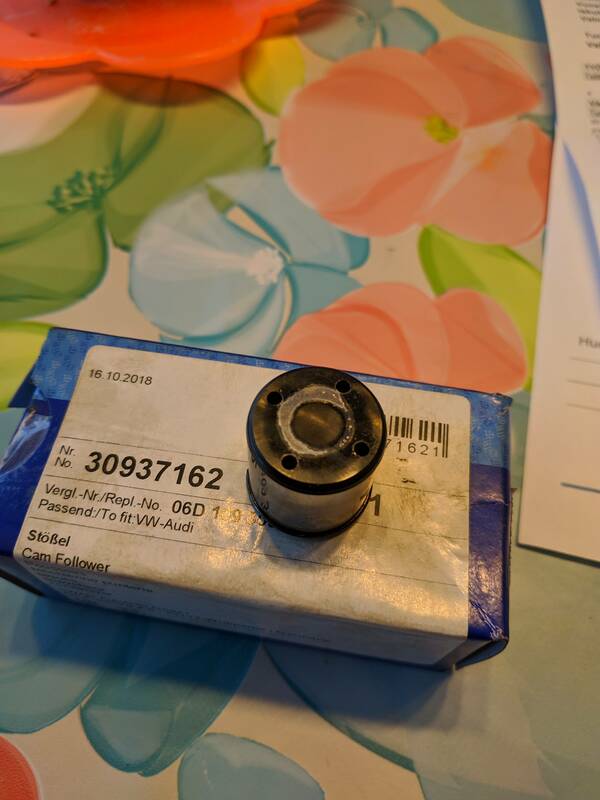 I also got the cam follower changed, not terrible condition considering the mileage and some of the horror stories people have had around here. Well it’s safe to say, yes that’s in s**t state, but you’re right: in the way that for the mileage and age I’m very surprised it’s lasted this long! Was the cam love and pump tip checked for any wear too? I didn't specifically ask them to check those but if they had seen something that was not quite right I am sure they would have told me, does the wear happen in those places even though the cam follower was still intact? They did charge me for 1,5 hours of labor for just changing the cam follower so I bloody well hope they took a good look around the engine! My plan for the car for now is to fix up some little rust spots around the car and get a new battery and filters in the summer plus get it serviced and oil changed. I was thinking about replacing the cam chain and tensioner in summer as I don't think they have been changed in a while, is this something you should do regularly on these cars? Chain and tensioner isn’t a “service interval” job but if it’s never been done at that mileage I would highly recommend you get it replaced. I asked if they checked for damage on the lobe and pump tip as the lobe can wear naturally from the follow smashing the hell out of it millions of times... and the tip: at that mileage who’s to say it hasn’t already wore through but been replaced. Don’t get me wrong it may not have but me being me would have thought about a scenario like that and checked all round for piece of mind it’s all ok. The good thing is, you now have a new follower so that’s one thing ticked and at least you found it still in tact! Good luck sorting everything else mate.